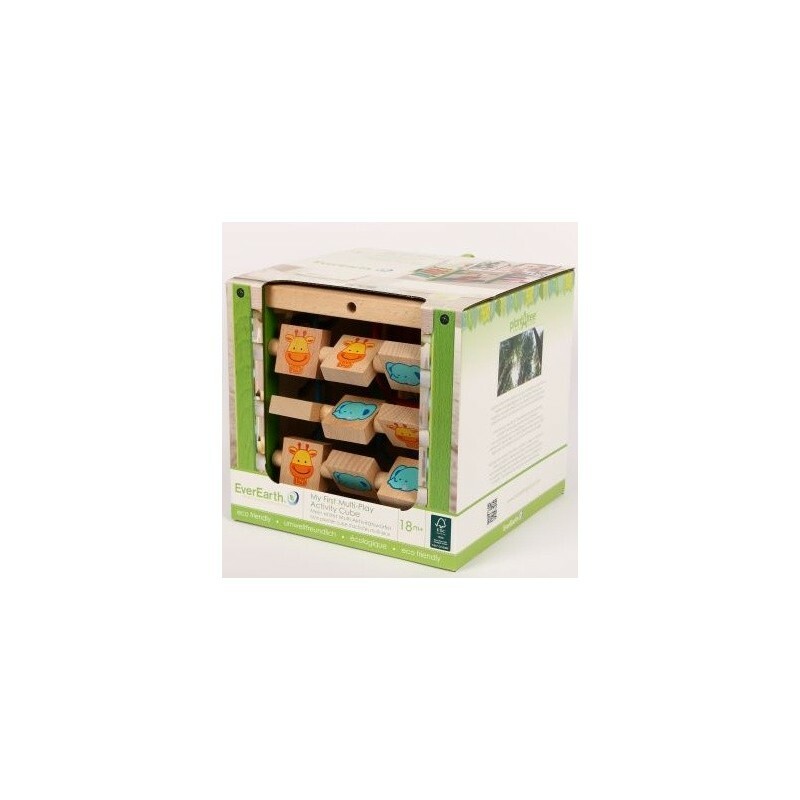 This activity cube is made out of 100% FSC Certified wood and painted with non-toxic water-based paint. 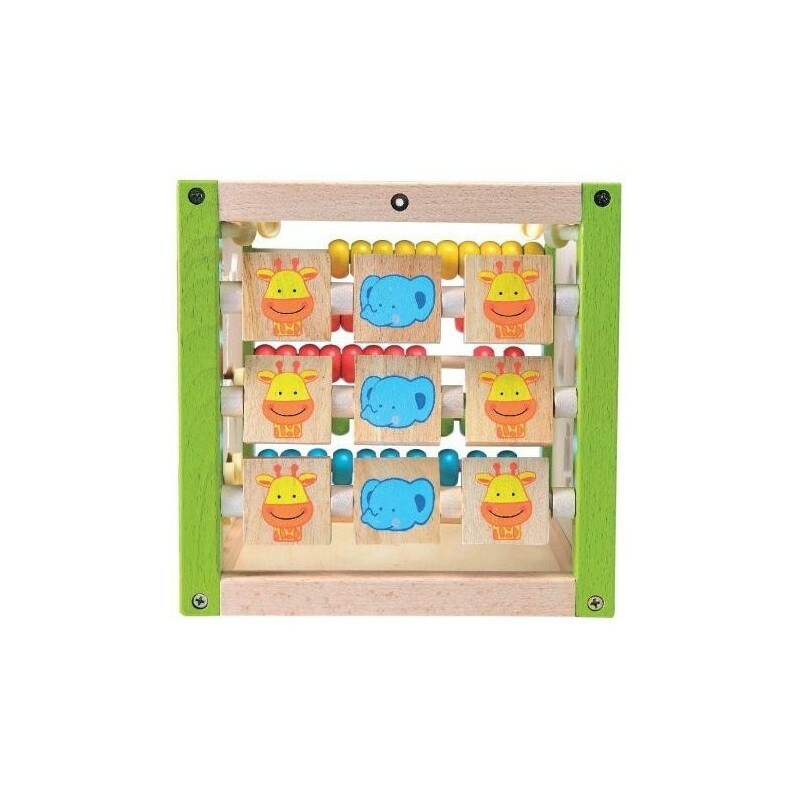 This eco-friendly toy gives hours of unplugged fun and includes a bead puzzle, a sliding peg board, a shape sorter and tic-tac-toe. 12+ months. Buying this product = 69 Reward points for Members. Your cart will total 69 points = voucher of $3.45. Not a Member? Join at checkout to claim these points. Made sustainably with 100% FSC certified wood. EverEarth is part of the 'Plant-A-Tree' forest sustainability initiative. Purchasing quality toys that made from renewable and recyclable resources reduces the amount of plastic that ends up in landfill. Painted with safe water-based paints monitored under European Quality Control EN71 standards. 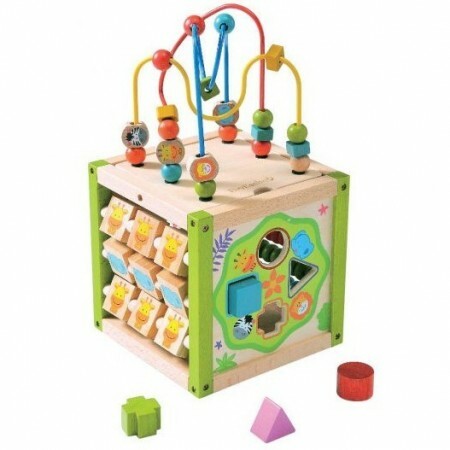 Develops fine motor skills, hand eye coordination and stimulates the senses. 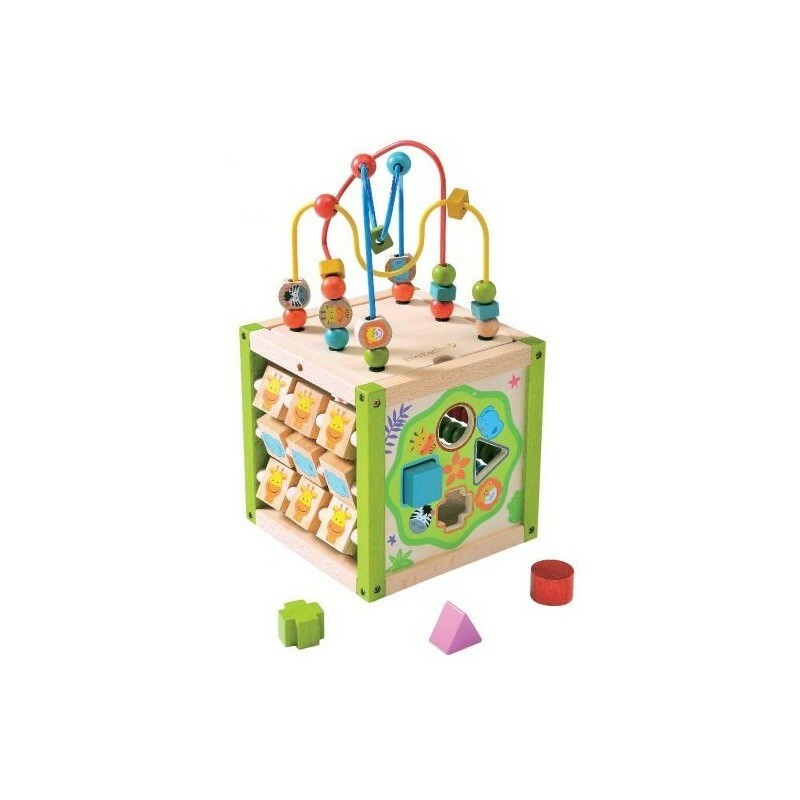 Brightly painted cube with multiple puzzles and toys including: a bead puzzle, a sliding peg board, a shape sorter and tic-tac-toe. Some small parts may be hazardous to young children. Always supervise play. Suitable for children 18+ months. Box: 21.6cm x 21.6cm x 2.4cm / 100% FSC Certified hardwood. German company. Made in China.